I read this article and found it very interesting, thought it might be something for you. The article is called Time payment by Credit Card (without interest) is available for purchase worldwide! and is located at https://www.magneticdays.com/en/news-en/time-payment-by-credit-card/. Home » News » Time payment by Credit Card (without interest) is available for purchase worldwide! MagneticDays offers the chance to purchase worldwide JARVIS scientific smart trainer, under time payment by Credit Card (without interest)! The mandatory condition is to buy 1 training pack of HTT methodology that varies according to the length of the payment. 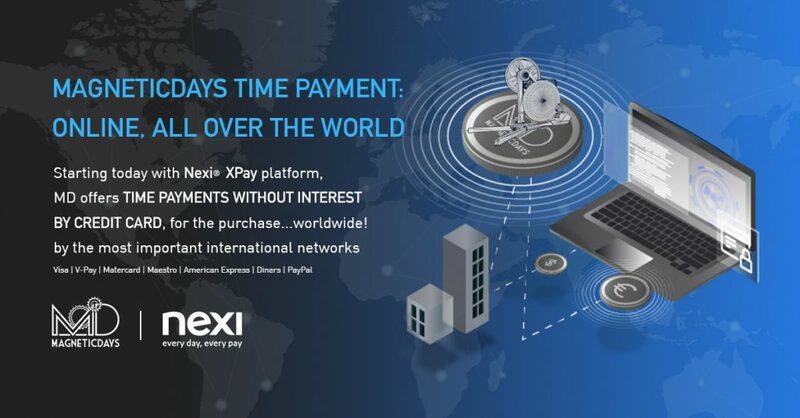 The procedure for accessing to time (without interest) payment by Credit Card is entirely online through XPay platform by Nexi®. It allows to pay by Credit/Debit Card of the most important international networks, established by convention or PayPal. What does the customer do? Client must respond to the email sending the authorization form (item 1) complited and signed in its entirety. What does the customer do? Client must select his own favorite payment method (international networks established by convention or PayPal), concluding the online procedure with the advance payment as indicated on the invoice (item 2, STEP 1). This procedure allows the automatic payment on Credit Card.